A Grade I listed Church with surviving Saxon aspects make up the 12th century existing build. 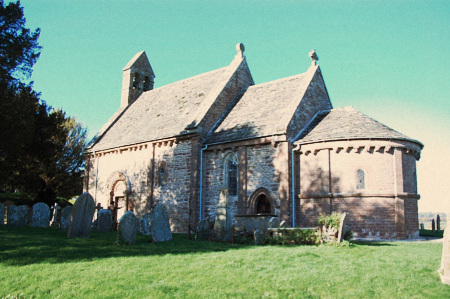 Described as ‘one of the most perfect Norman village churches in England…’ Kilpeck is an exceptional model of ecclesiastical architecture and has some of the country’s finest examples of Romanesque arches and grotesque carvings. Jones and Fraser were asked to undertake, and subsequently completed, conscientious repairs to the lime mortars and re-point aspects of the stonework. Jones and Fraser have subsequently conducted extensive roof repairs to the stone tile roof replacing many tiles on the chancel and nave roofs. Further, large areas of sympathetic lime pointing have also been carried out.